Maintain and water your hanging baskets with ease using the Gardman Hi-Lo Basket Swivel Hook. 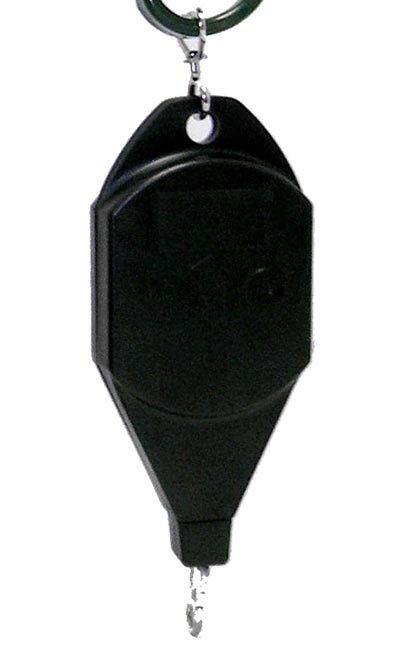 Hang this unit on your bracket or shepherd's hook, and connect your hanging basket to the swivel hook. Keep the retractable tape in the uppermost position for display purposes, and gently lower the tape when it is time to water or weed your baskets. An internal locking mechanism keeps the tape from retracting too quickly or lowering when unnecessary. Always ensure that you raise the item first, then lower it to the desired position. Slightly raise it and listen to the tape click, engaging the locking mechanism before releasing your hands. Keep your plants looking beautiful with help from the Hi-Lo Basket Swivel Hook.